Hi Everyone! Hi Taiwan! Have you ever thought of trying some Thai food? 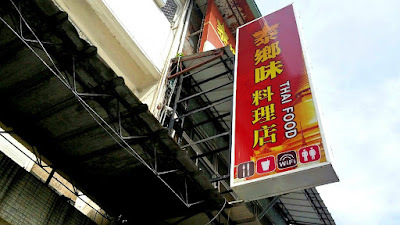 Well you don't need to fly to Thailand to enjoy a delicious Thai food for sure, because you can find it in San Min Rd. 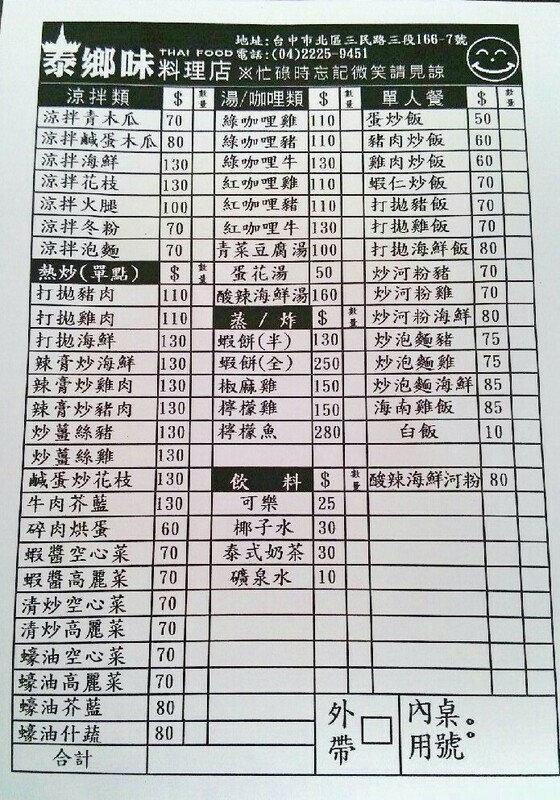 in Taichung city. 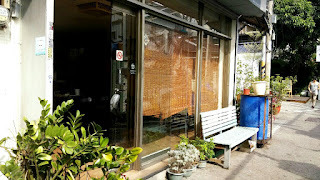 It's located in the alley right across Chung-yo Department Store, and it's quite easy to find. 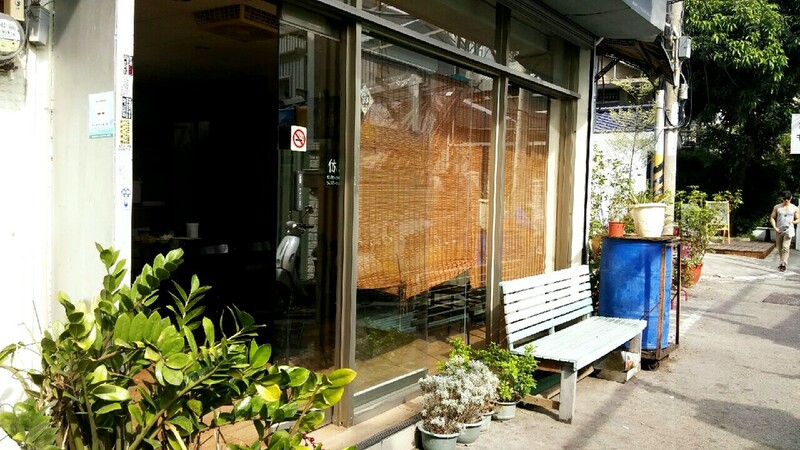 If you come here at lunch time (around 12pm to 1pm) or dinner time (around 6pm to 7pm), you will see how crowded this place is and there will be many people waiting in line just to eat their Thailand dishes. 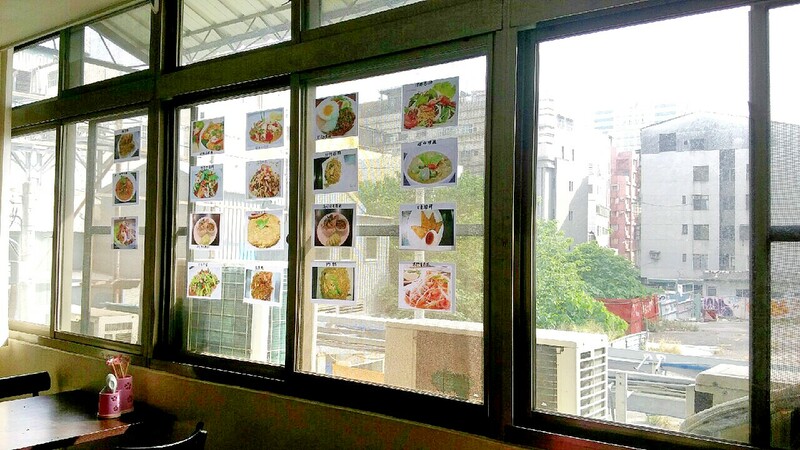 But don't worry because they are quite fast in serving the foods and they also provide tables on the 2nd floor. 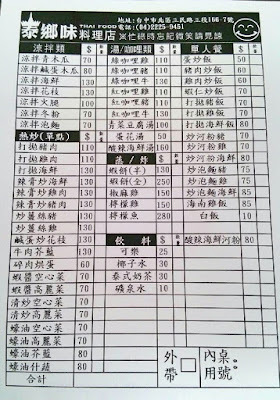 Let's see the menu, shall we? It's made with soaked dried rice noodles, which are stir fried with tofu, eggs, shrimp, squid, garlic and mixed with many of bean sprout and other vegetables. You can taste sour, sweet, spicy at the same time. 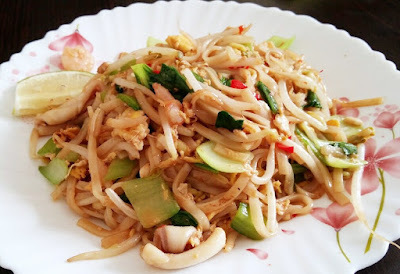 Pad Thai is one of the more popular Thai food. 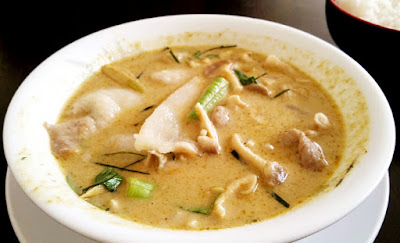 One of the most famous Thai dish, which is based on the coconut milk and fresh green chilies complemented with other ingredients, such as green curry paste, chicken, mushroom, and Thailand basil. 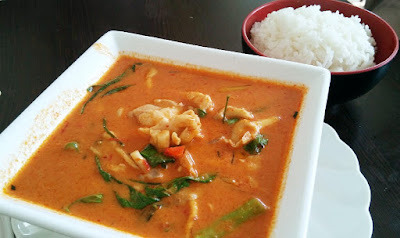 It's quite similar to green curry, but this red curry has more spicy flavor than the sweet flavor which you can find in the Green Curry. 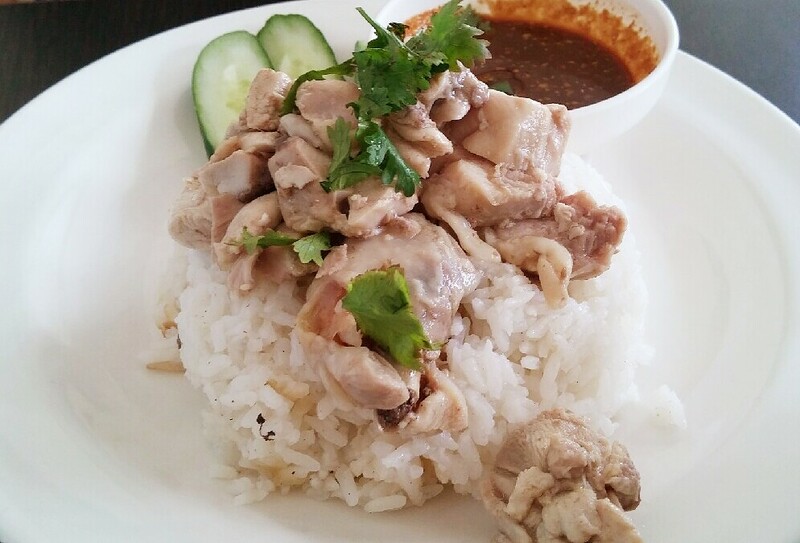 They use red curry paste which are cooked together with some slice of pork. It's quite soupy and I recommend you to eat this with a steamy bowl of rice, YUM! 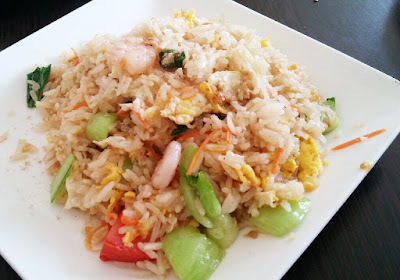 Fried rice is a common dish, made with steamed rice in a wok and mixed with vegetables, eggs, and some shrimp. But I think it's the herbs and spices which makes this dish somewhat different and more tasty compared to the normal fried rice. 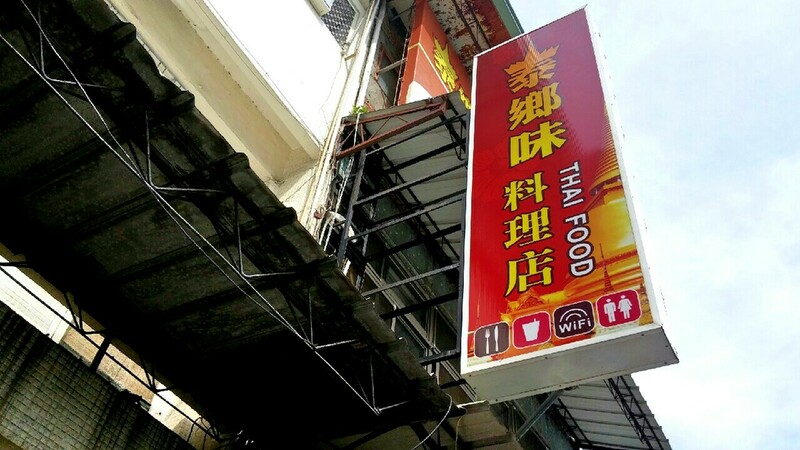 This is quite popular, not only in Thailand but also in Singapore, Malaysia, and China. 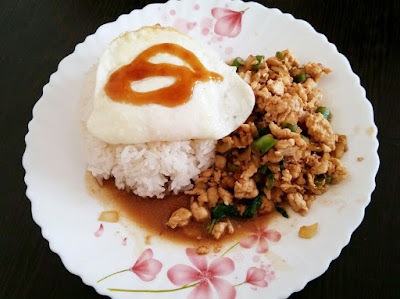 In Thailand, it is served with a garnish of cucumber and chicken stock, accompanied with the signature sauce. I think you can find this dish at any Thai restaurant, it's a quite simple dish, consisting of white rice and minced pork. The pork is stir fried in oil with garlic, chillies, small green vegetables like green beans, making this dish so flavorful. Not to miss the fried egg on top of this dish to make it more complete. 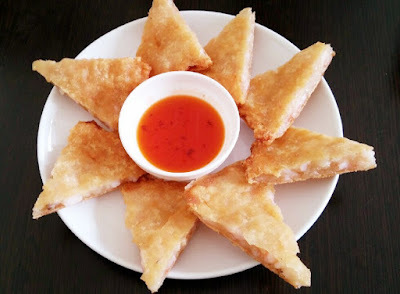 I think this is the best Thai Shrimp Pancake that I've ever tried. It's quite thick, but not full of flour, you can really taste the shrimp inside the pancake and don't forget to dip it into the sauce. It makes it perfect! Hello there Anslay! Sure you can do! 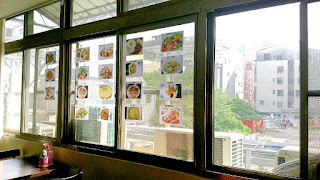 Most of our posts is commonly about restaurants or food in Taichung. Hope you have a nice day!